“Growth hacking” is a common term among startups. It functions more like marketing but with a totally different focus, which is to grow a business. The hackers uses creativity, critical thinking and social metrics to increase the viral coefficient and help your company gain maximum valuable exposure in the shortest time possible. This marketing strategy is more technical than the traditional approach and it’s sole aim is to help you get a lot more done, while you pay less. Targeting niche communities via web forums, content marketing, getting influencers to be early adopters, social campaigns, SEO/SEM and organic search etc. are some of the activities that gave rise to growth hacking. This technique is good for lean startups and has been widely adopted by famous startups such as Makemytrip, Red Bus, Flipkart etc.to initially connect with their target audience before using traditional means. As stated by Teoh on Jumixdesign.com, you can growth hack, as a new startup, by integrating with established businesses; encouraging pre-ordering of your product or service before it is complete; using user-generated contents; and by viral social campaigns. You can also hack by investing marketing budget into user’s benefits whereby a measurable part of the budget is used to offer discounts or sell your products below cost price, a strategy that can create a win-win situation in which customers are excited about the discounted offering, and happily spread the news through word of mouth. The following publication on Kissmetrics.com, contains very important resources to learn, apply and manage this technique. It has 35 different publications from industry leaders and publishers, exploring growth hacking from different perspectives. Click here to access these resources and kindly share your comments on growth hacking or other posts on this blog in the section below. Your opinions are highly valued and can help inspire the next startup entrepreneur. Excellent post! Very simple explanation of the origin of Growth Hacking and good examples of companies who utilize the Growth Hacking strategy. I do agree that Growth Hacking encompasses SEO, driving web traffics, etc., etc., but I also believe that Web Design, Graphics Design, AdobeCC Users and Digital Marketing is encompassed within the Growth Hacker experience. 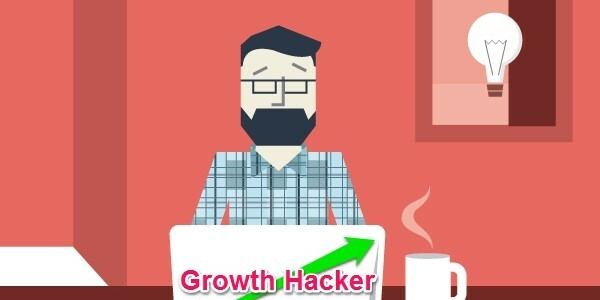 In my opinion, a Growth Hacker is the ultimate creative and analytic marketer, combined! Growth Hackers, in my opinion, are usually industry leaders in digital because it requires them to be aware of the latest digital technologies and skills to create growth. Overall, excellent post though! Thanks for the resources!